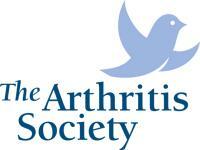 The Arthritis Society is Canad'a principla health charity providing vital information and programs to the millions of Canadians with arthritis. Since 1948, The Society has invested more than $170 million towards innovative research to search for the causes of, and better treatments for, arthritis. This investment is also used to train rheumatologists, ensuring Canadians can receive the specialized care they need. Thanks to advanced treatments and diagnoses, people diagnosed with arthritis today are often spared obvious disability; but, until a cure is found, the work fo The Arthritis Society will continue. In Ontario, The Arthritis Society is able to offer a variety of programs and services to help people with arthritis become better informed, such as the Arthritis Self-Management Program, the Chronic Pain Management Workshop, and the Arthritis Rehabilitation and Education program. To learn more about these programs and to find out when the next session is running call the office.